Here I am, sitting in the cosy studio with a pot of tea, surrounded by box upon box and shelf upon shelf of handmade festive treats such as newly poured soy woodwick candles in festive fragrances, glinting corked bottles of bath oils, dinky little pots filled with luscious rich butters ans waxes as lip balms and perfume balms, tubs of rich creamy body butters and exfoliating sugars scrubs - "Just right for 'chicken legs'" (as the local WI exclaimed at a talk I gave earlier this year). I've been making and wrapping in a frenzy over the last couple of months, so I thought it high time I told you about them. But first of all, I just had to give you a little peep into my day...my morning started like this...not bad eh? 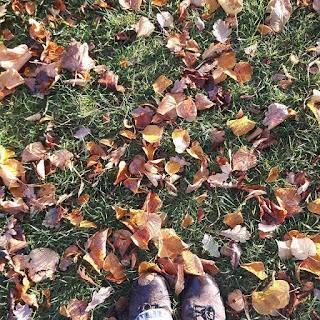 I LOVE Autumn in the UK. 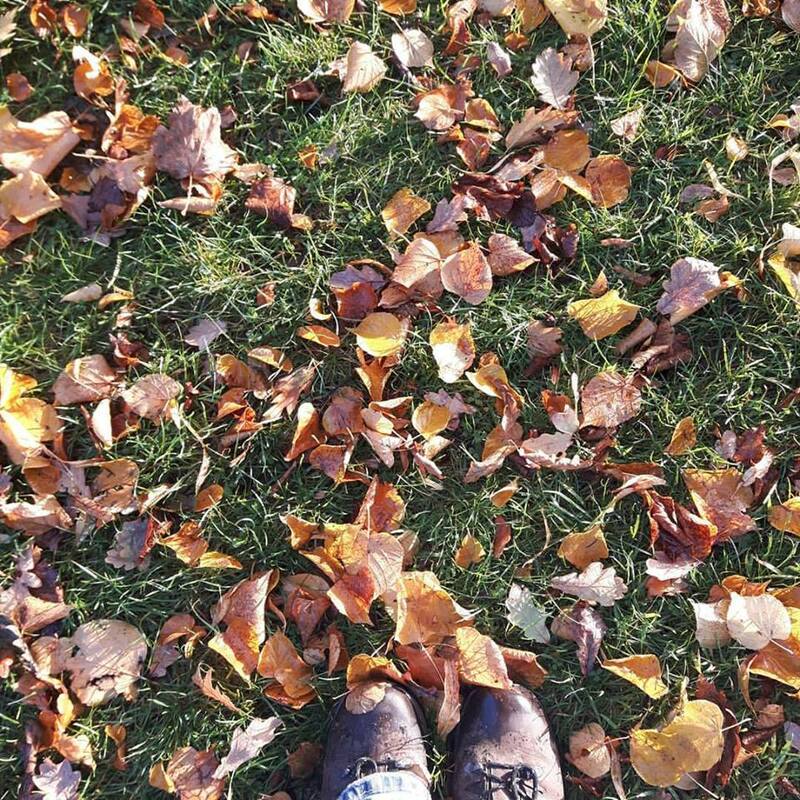 I can't wait to break out the woolly scarf and fingerless gloves in a week or two - a winter event essential teamed with hand warmers, stout boots (pictured) and a good flask, yes sireee!! 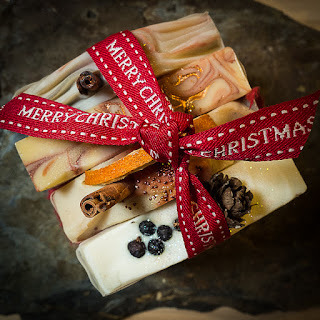 So, without further ado, may I introduce the featured special guests, my festive soaps.....these have been challenging to make as I've employed newly learned pouring techniques, new essential oil blends and a whole streamlined method of production, meaning I can make my soap twice as fast as before!! Oh, and I recorded video's as I made them too! I always like to make things complicated for myself it seems!! 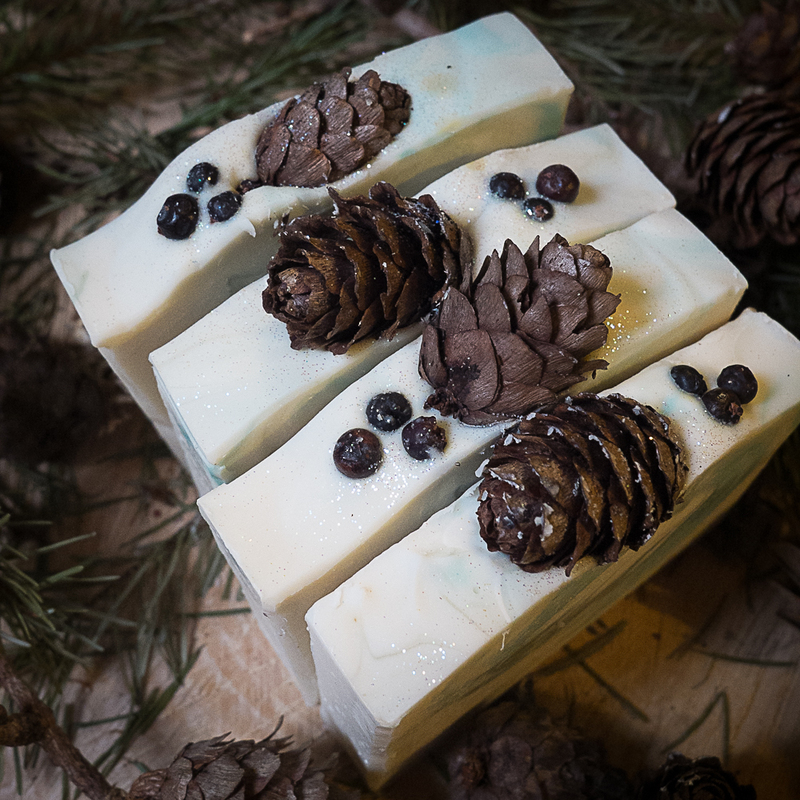 First up, 'Snow Drift soap' - Imagine rough woollen socks stuffed into warm leather boots, crisp bright mornings and tramping along a forest path strewn with fallen leaves beneath sparkling frosted pines and the earthy scent of the springy forest floor. Beautifully yet delicately fragranced with a fresh, crisp scent with top notes of mild menthol with a hint of pine giving way to middle notes of spruce and eucalyptus and grounding cedarwood to complete the blend. 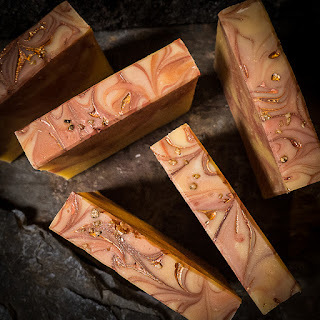 'We Three Kings' handmade soap - Crowned in gold and bronze micas, and sprinkled with real gold dusted Frankincense resin, this truly is a festive treat. Pure, smokey and resinous Oman frankincense essential oils give a beautifully haunting and ancient scent. Each bar is enriched with pure plant oils and butters to soften and feed the skin and lashings of fresh dairy cream for added moisture. Real tussah silk adds an extra luxurious lather and silky feel on the skin. 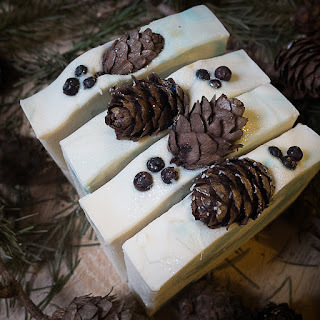 'Winter Cabin' handmade soap is woodsy, earthy and smokey. 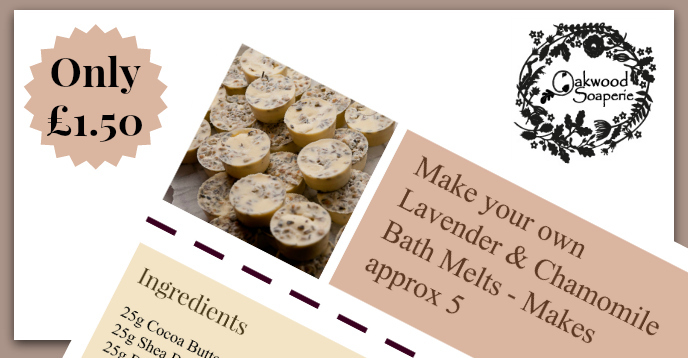 Blended with warming Cedarwood, comforting Clary Sage, spicy Clove and meditational yet smokey Vetiver oils. 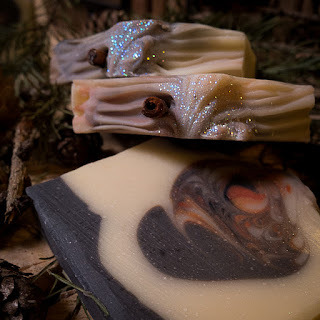 Imagine a special escape in the forests, it's dusk, a glowing fire built with seasoned pine and dried cones is roaring in the grate, the wind lifts a spray of sparks, an owl hoots from the distant branches. As the sun slips below, a frost decends and glitters on the roof, a warming hot toddy in your hands, a hug from your favourite special one ...bliss! I can't think of a better winter escape! 'Winter Spice' handmade soap is what Christmas is all about. 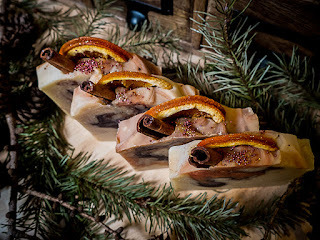 Spiced steam curls over the lip of a sparkling goblet of amber mulled cider, the glint of candle light on the dampened eastern spices bobbing on the surface, notes of dusty cinnamon, sharp clove and rich sweet blood oranges fill the air. Well there they are, I hope you like them. These little lovelies and oodles more are all available to buy from my website, Folksy and Etsy shops online and will be available direct from me at the studio or from my events in the big run up to the big day. Numbers are however limited and once they're gone, they're gone so be quick if you want one (or two, or a bundle!!). See my EVENTS page over on the website too, for a full rundown of my Christmas events in the North East, I'll have OPEN STUDIO days throughout November and December so keep an eye out for these as well, I'll announce them over on my Facebook Page each week, so be sure to 'find and follow' me over there too if you're not already. 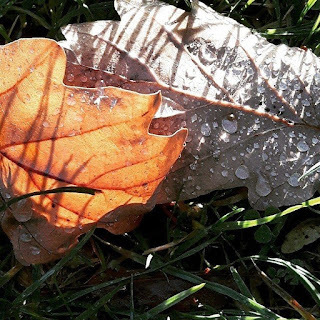 If you're a fan of a flash sale...be sure to sign up to my NEWSLETTER too, I'll be releasing the odd special reward to subscribers as the days get darker and the nights get chillier. 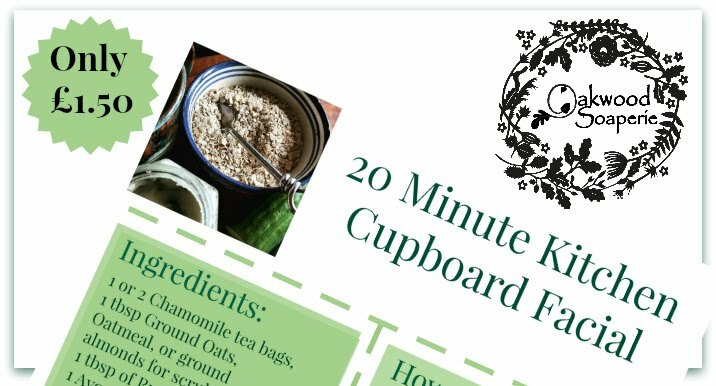 I can't quite believe I've been this organised and finally feel I'm ready for the big push towards my busiest time of year. 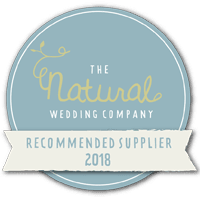 I really hope to make a few blog posts before the BIG DAY, but if I get swept up in the whirlwind that is the Christmas countdown, I wish you all the very best for a fantastic Christmas and relaxing New Year ahead.